The Furzedown area of Tooting is one of Wandsworth’s hidden gems. Located close to Tooting Bec Common this leafy area has a unique village feel and due to the excellent schools in the area it has rapidly become a hot destination for families looking to upsize. At the heart of Furzedown is Moyser Road, it has an attractive parade of shops where you can drop off your dry cleaning, buy a bagette, get a coffee, before browsing in the antique shop or the local art gallery. Every year there is the fabulous Furzedown Festival, the highlight of which is the Big Day Out in the park, all the fun of the fair plus a chance to listen to some great bands, sample some exciting food! Originally from Scotland, Sandra moved to Surrey over 25 years ago to join a family business in advertising. After a period of time Sandra decided to expand her knowledge in the property industry and now has over 14 years’ sales experience working in South West London. After her children had flown the nest her love for travelling the world found Sandra exploring Europe, America, South America as well as Asia and Africa. Now living in Tooting Bec, Sandra’s vast knowledge of the South West London market, provides invaluable expertise to our Furzedown office. Her passion for property as well as her personable character and perseverance ensures she always goes the extra mile for her clients. In her spare time Sandra enjoys spending time with her family as well as keeping fit in the gym and power walking. Michaela joined the Furzedown Team in the Summer of 2017. She has vast experience on the property market within South West London and comes with a record of achieving outstanding Sales and Lettings figures. Michaela has lived in the area for over 20 years and has two children who attend local schools, therefore able to offer great local knowledge in particular of schools and local infrastructure. In her spare time Michaela enjoys spending time with her family, travelling and keeping fit. Chris has lived in London for over 25 years and returned to estate agency in 2012 after a break. He is a key member of the sales and lettings team in the aspire office in Furzedown . 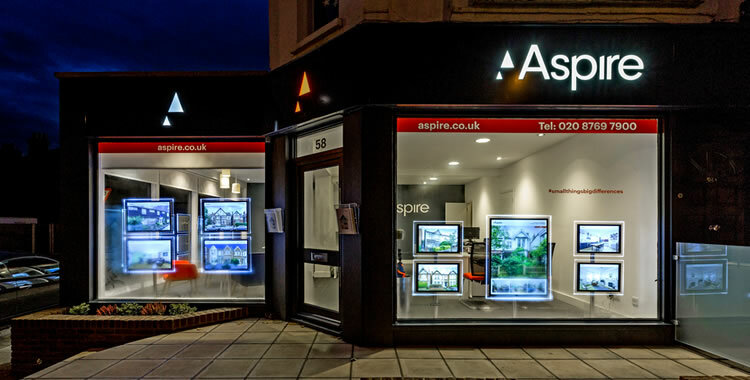 Prior to joining aspire he spent quite a number of years developing properties across south London and Wales. He likes to travel to new countries and holds a commercial pilots licence.